Dahlonega, GA. Downtown Dahlonega - Dahlonega. Dahlonega, GA. Bear the Square Mountain Festival. Dahlonega, GA. Dahlonega, GA 30533, USA. 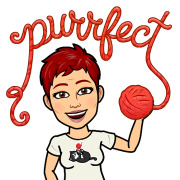 Join us for a great time crocheting, looming, or knitting with a great group! Loads of laughter and friendship! Dahlonega, GA. Dahlonega, GA - Duluth, GA.